I know how to cook. Everybody at home does. So, when my sisters and I are invited to a meal and we do not like the food, it is hard for us to be honest. Three months ago, a friend of mine invited me to her house for dinner along with some other friends - six girls and four boys. It was a farewell dinner for a friend who was moving abroad. Before dinner, we sat in the living room and chatted for a while. When dinner was ready, we went to the dining room, sat at the table, and the food was served. The main course was OK but the dessert - an apple pie, was not really good. However, when my friend asked me how the pie was, I said that both the entree and the pie were delicious. Truly, I did not want to hurt my friend’s feelings because I knew she had worked very hard on both preparing the meal and having everything set for the evening. So, she just smiled and said she was glad I had liked the food. Two months later, I invited the same group of friends to my apartment for dinner. I decided to roast a turkey, make a salad, and bake a chocolate cake. Three days before the reunion, I bought the turkey and all the ingredients I needed. Two days before the dinner, I made the cake. Sadly, it got slightly burned, but I managed to fix it. The very same day, I roasted the turkey, which was delicious. Finally, the big day arrived. When I was nervously serving the chocolate cake, I apologized and said I thought the cake was not good. I told them that the cake had gotten slightly burned and, even though I had tried to fix it, it was not as good as I wished it had been. However, my friends said that it was perfect! So, right then, the friend that had invited me to her place for dinner two months before said that my cake was better than the pie she had made for the farewell dinner. Then, she added that if I thought my chocolate cake was not good, the pie she had made was worse. Thus, she concluded I had lied when I told her that her apple pie was delicious. Well, she was right. So, I was caught in a lie in front of everybody and blushed when all my friends started laughing at me. ¿Qué se puede comentar del ejemplo? When my friend asked me how the pie was, I said that both the entree and the pie were delicious. She said she was glad I had liked the food. I apologized and said I thought the cake was not good. I told them that the cake had gotten slightly burned and, even though I had tried to fix it, it was not as good as I wished it had been. However, my friends said that it was perfect! My friend said that my cake was better than the pie she had made for the farewell dinner. 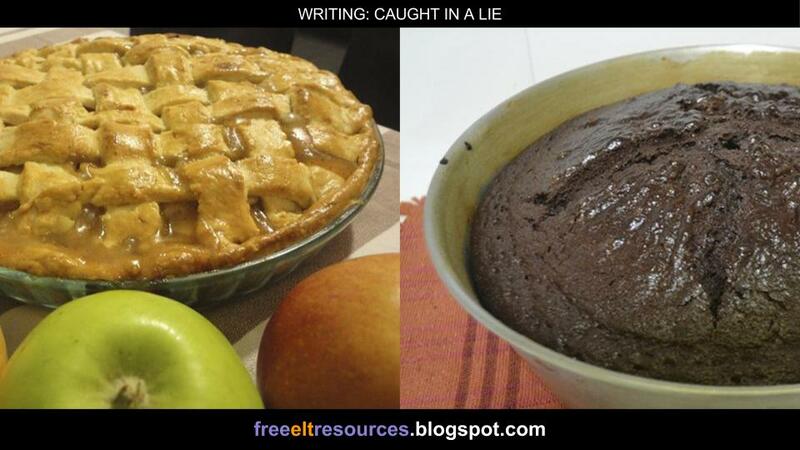 Then, she added that if I thought my chocolate cake was not good, the pie she had made was worse. Thus, she concluded I had lied when I told her that her apple pie was delicious.